"But each one of these things comes from an egg, right? So who's laying these eggs?" Iron Dog Studios are a relatively new game developer although they are part of 1×2 Gaming group which has been around for donkey’s years and has a strong heritage in online gaming. They only have a handful of slots so it’s a brave decision to invest resources in a seasonal slot. 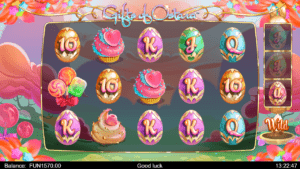 You spend a lot of time on a product that has a small window of opportunity – in the case of this slot, the Easter period! 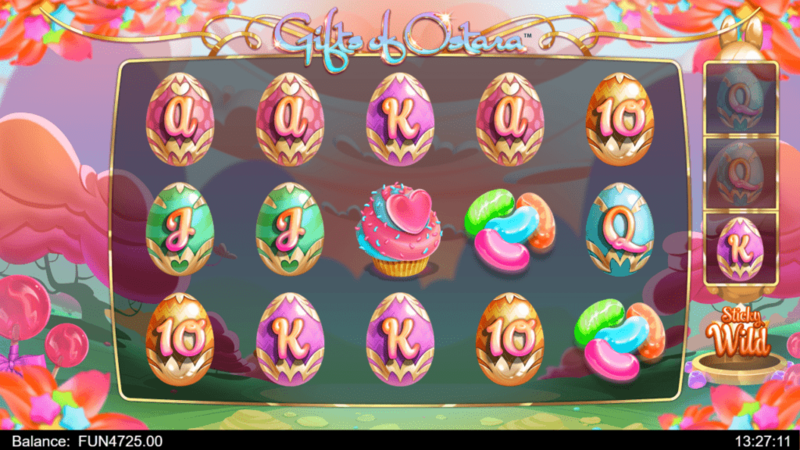 As we know, the commercial side of Easter is all about spring, eggs, “sickly sweet” treats and obviously, Ostara, the Goddess of Easter… If you love an ‘egg’citing game, then this could be the slot for you. 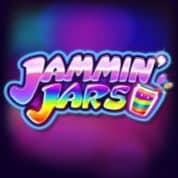 This is a reasonably standard five reel/ three-row offering with 20 winning lines, Respins, Free Spins, Wilds, Sticky Wilds, Scatters and Multipliers. The game has a clean interface with two main buttons. One controls the bet amount and the other the spins and auto spins. The rules and all other options are hidden behind the menu. Nothing ‘egg’stravagant (last one, I promise) here! This makes for an uncluttered screen, which I appreciated. I don’t think I am the target demographic for this game. It is a light, pastel-coloured game that I suspect is aimed towards the female of the species. The music is subtle and even the obligatory effects are gently delivered. However, this is a game that plays well and pays well. 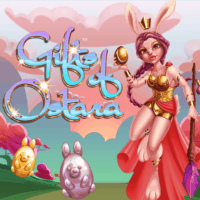 Gifts of Ostara offers nothing spectacularly original – it is not going to win any awards for innovation – but the standard fare is well delivered and a refreshing change from the complexity (both in gameplay and graphics) of many of its peers. 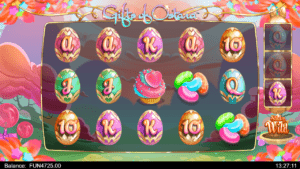 Gameplay is straightforward enough with Ostara making appearances as the the full-reel wild character. The other area of interest is a vertical reel on the right of the screen. You will occasionally receive golden eggs that pop out of a hole and turn into symbols. 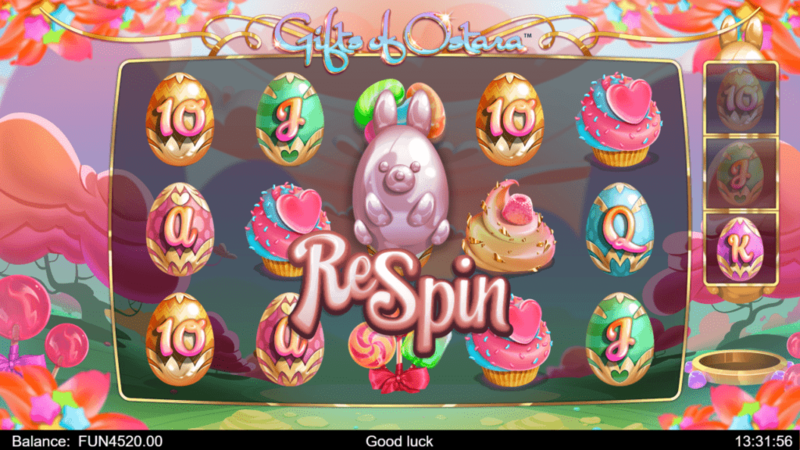 Receive three identical symbols in a row and you are rewarded with ten free spins. Random eggs gain no benefit, but sometimes, an egg may turn into a Respin, Wild, Sticky Wild or Multiplier and the game will act according to its benefit. A Respin is simply that – you receive a single free spin. You can read about the frequency of them in the RTP Challenge to the side. Ostara arrives and takes up a whole column if you receive a Wild or Sticky Wild egg. Wilds give you a single spin whereas with Sticky Wilds you get three. Multipliers are just that, any winnings on that spin are multiplied by the number shown. I personally received up to 8x my winnings on more than one occasion. If you’re lucky enough to receive a Scatter egg – just sit back and count the coins! 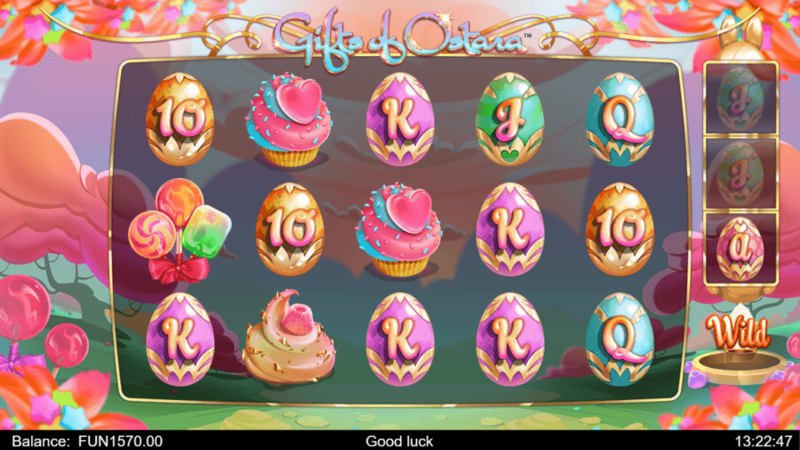 Gifts of Ostara gave an RTP of 83.85% during the RTP Challenge. Nearly 74% of all spins were losing spins which means 26%, over a quarter of spins, paid out, and nearly 9% of them (44) were winning spins. This frequency of paying out is one of the key factors of why I found this game enjoyable. Sure, I was losing over time, but I managed to wager nearly 20,000 coins with my initial 5,000 and my playing experience was longer because of it. Over the session, I managed to trigger the free spin bonus a whopping 19 times and most of those paid reasonably well, although it appears weighted to the 5x-10x result. The Respins, Wilds and Sticky Wilds came along frequently enough to both surprise me and keep me happy; 31 spins in total. Add those to the two high-paying Scatters (4,000 and 1,200 coins) and the eight Multipliers and you’re looking at over eight percent of all spins rewarding my play with a bonus of some sort. I found that pretty generous. As already touched upon, I received a Super Big Win of 4,000 early in the game (Spin 18) and played over 200 games before dipping below my initial stack. Overall, it was an enjoyable experience due, in no small part, to the constant payouts which led to a positive expectation of more to come. And that’s it! It may not sound like much, but what made this game enjoyable, apart from the fact that it plays well, looks pretty and did not have me shouting at the screen, was the fact that in this game, I won regularly. Sure, many were, as in any game, losing wins, but the ‘constant’ payouts and the the not infrequent Big and Super Wins kept me smiling and playing. On the negative side, some may feel that the lack of originality is an issue, and others may consider it ‘too feminine’ for their taste. With the fairylike qualities of the graphics and Ostara herself, I can understand that thinking, but that should not put you off. 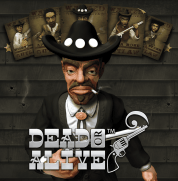 It is a strong game with enough bonuses and regular wins to keep you interested and entertained. As I said fro the start, Iron Dog do not yet have a large portfolio of games to their name but they are growing. This online slot may not last the test of time but it is a fine production and a great early addition to their offering.